BEATLES, GUITAR. TABLATURE Blackbird-Michelle-Ticket To Ride-Can't Buy Me Love-Girl-Back In The U.S.S.R. 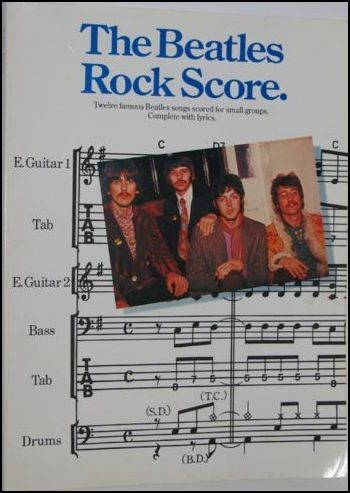 This unique publication contains 52 favorite Beatles songs arranged and transcribed exclusively for the guitar. It is designed to provide an accurate look into the lead and rhythm guitar styles of George Harrison and John Lennon. Instead of providing transcriptions of the guitars off the record, these arrangements use the musical elements of the bass, drums, keyboards and guitars all incorporated into one guitar so that they can be played alone or in a band. Written in tablature, this book also provides numbers, strums, accents and picking patterns for those who do not read music. 208 pages. It contains a selection of Beatles' tunes arranged exclusively for the guitar, designed to provide an accurate look into the lead and rhythm guitar styles of George Harrison and John Lennon. Although the arrangements are written to embody the essence and style of the guitar works of Lennon and Harrison, they are not just transcriptions right off the record. Rather, they use all of the musical elements. Bass, drums, keyboards and guitars, just as The Beatles used them, are all incorporated into one guitar so that you can play the arrangement alone or in a band. The exciting alternative to conventional music. 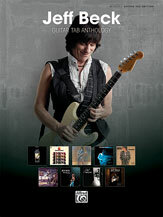 Opens up the world of printed music to all guitarists, beginner or professional. Reading it easy ... the lines show the actual guitar strings. Beneath standard notation you get easy-to-use tablature. The lines are the strings, the numbers are the frets. See inside for tablature guide. For those who don't read music. Plus standard notation and guitar Chords. Complete with lyrics and performance guidelines. This section includes songs that are most characterised by the use of a melodic signature theme. Songs like 'Day Tripper', 'Ticket To Ride', 'Julia' or 'Lucy In The Sky With Diamonds'. This does not mean that you have only the lead or bass guitar in the song, but rather that their importance is the driving force behind the tune. The rhythm guitar complements the bass and lead licks in this case. guitar takes prominence over Harrison's guitar and McCartney's bass or keyboards. Again, you may have some guitar or bass licks, but they take a back seat to the rhythm guitar. should know. Lennon was a brilliant rhythm guitarist and you'll benefit by learning these tunes as arranged. rhythmic verse section, or Lennon trading off with McCartney's bass or Harrison's smaller lick sections. It's all put together for you in the Beatles Guitar book. read music, as well as those who do not. patterns, which you'll learn how to use on the instruction page for tablature (see page 5). are included in the tablature line. lyrics, melody and which key the song is in. page turns, and to make playing from it a real pleasure. produced with special regard for the environment. to ensure a sturdy, attractive publication which should give years of enjoyment. If your copy fails to meet our high standards, please inform us and we will gladly replace it. - the guitar duo? Well, that's what you are going to discover in the Beatles Guitar book. This book is a special work containing a selection of Beatles' tunes arranged exclusively for the guitar. It is designed to provide an accurate look into the lead and rhythm guitar styles of George Harrison and John Lennon. Although the arrangements in this book are written to embody the essence and style of the guitar works of Lennon and Harrison, the arrangement is not just a transcription of the guitars right off the record. Rather, it uses all of the musical elements: bass, drums, keyboards and guitars, just as The Beatles used them, but all incorporated into one guitar so that you can play the arrangement alone or in a band. Melodic Licks That Signature A Song. Rhythmic Licks That Signature A Song. Rhythmic And Melodic Licks That Signature A Song. BEATLES, LIVE AT THE BBC. TAB. Twelve famous BEATLES songs scored for small groups : complete with lyrics. 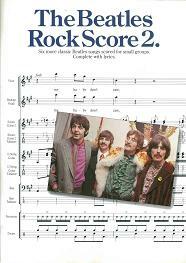 BEATLES, ROCK SCORE 2. TAB. BECK JEFF, TAB ANTHOLOGY. TAB. More than a dozen songs transcribed note for note as performed by Jeff Beck. Titles: A Day in the Life - Anges (Footsteps) - Beck's Bolero - Behind the Veil - Big Block - Blast from the East - Cause We've Ended as Lovers - Freeway Jam - Going Down - Heart Full of Soul - I Ain't Superstitious - Led Boots - People Get Ready - Two Rivers - Where Were You. Angel (Footsteps), from the album Who Else! Blast from the East, from the album Who Else!